The easiest route on public transport is to get the Network Rail train from Kings Cross to Palmers Green Rail Station (about 20 mins) and then a 15 minute walk. 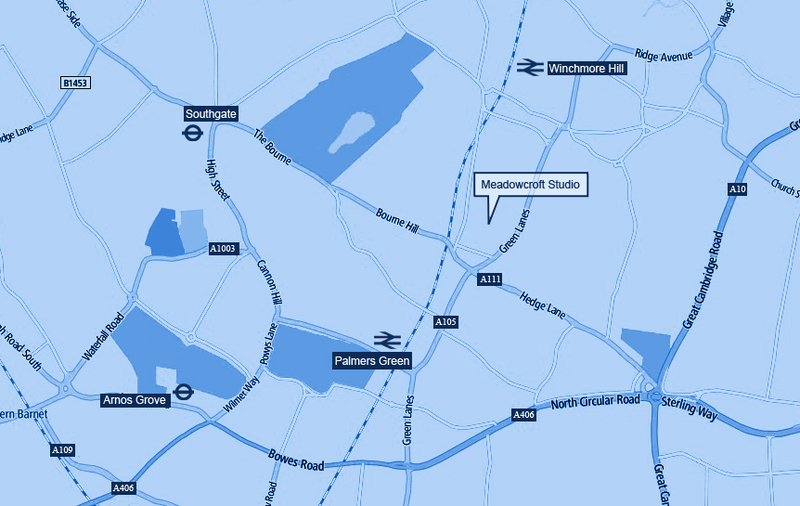 The nearest underground station is Southgate which is about 5 mins in a taxi, but not very easily walkable. 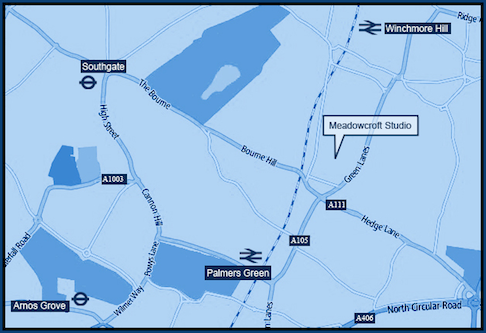 Bus numbers 329 / N29 / W6 all stop at the end of Meadowcroft Road making it the route with the least walking! Parking is free all day and night on the road plus no permits are needed.